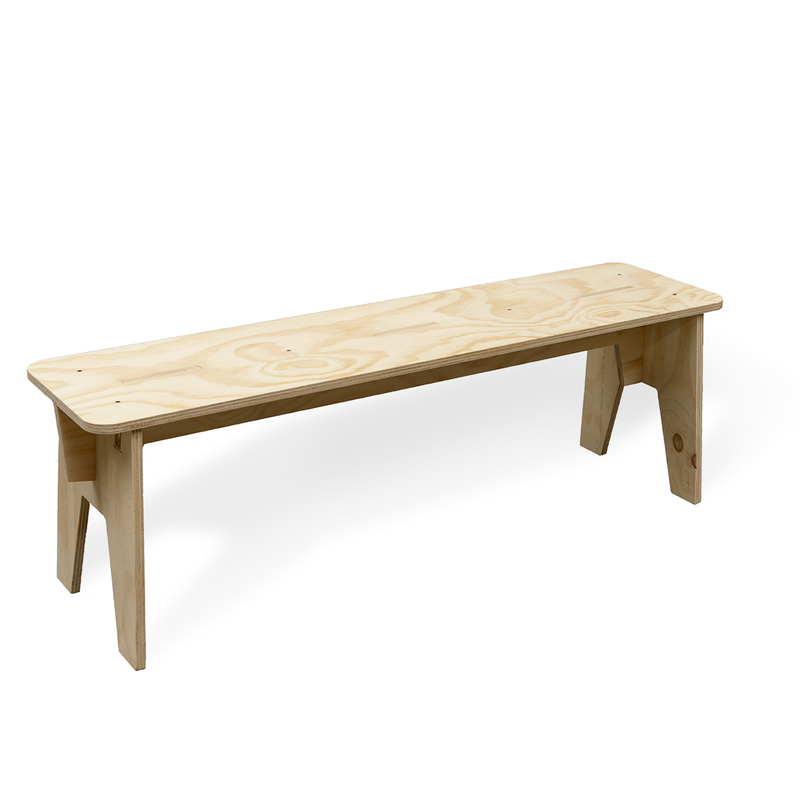 Our popular Factory Stool is now available as a bench! It is made of pine plywood and its dimensions are 139,5 x 34,5 x 45 cm. It is already mounted and sanded, so you can directly paint it or take a seat with two friends (or 3, if you like cosiness). Delivery time 5 working days. Every now and then you come across a design that makes you think: “I wish I had thought of that!”. This is one of them! 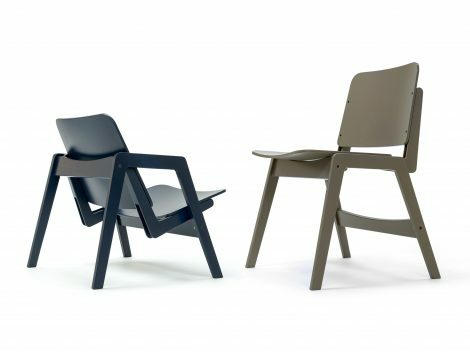 A chair that easily flips from dining table chair to low chair or from office chair to lounge chair. Designed by Jair Straschnow and produced by Fiction Factory. 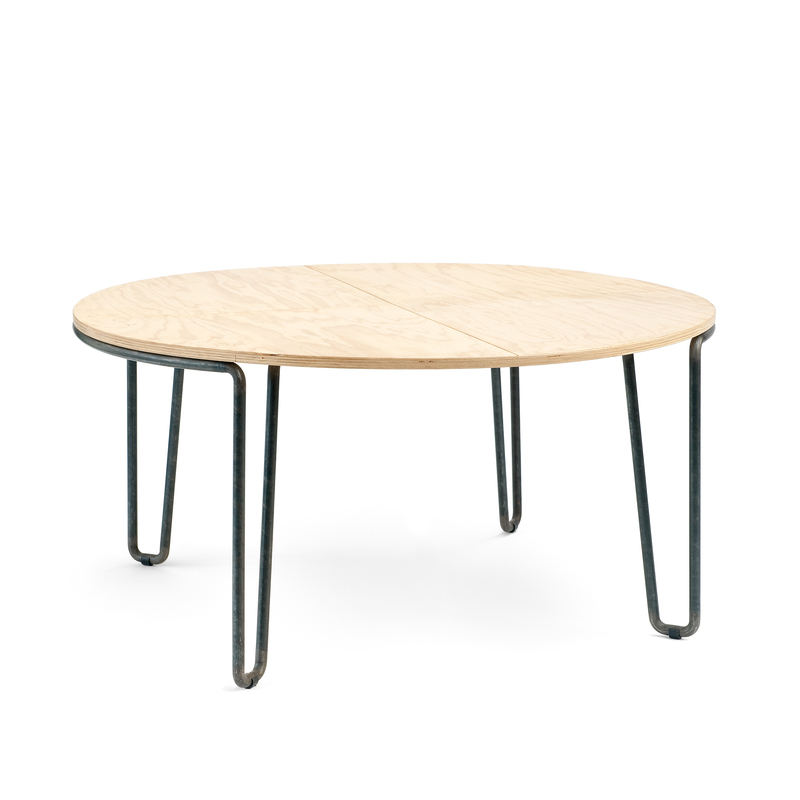 It’s made of birch plywood and available in 6 colors. Dimensions high: 55 x 61 x 82 cm and low: 66 x 61 x 60 cm. This Flip Chair is supplied as a compact DIY kit with a manual. € 230, – incl. VAT and excl. shipping costs. You can now place a pre-order here. You will be notified upon availability. An open and honest design: dark steel bent tubes and a wooden top. 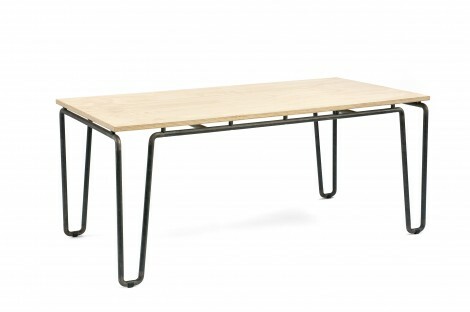 The minimal height is 75,5 cm and the top is 180 x 90 cm. Can be manufactured in custom sizes too, just send an e-mail. The top can be made of oak, bamboo or pine (as shown). 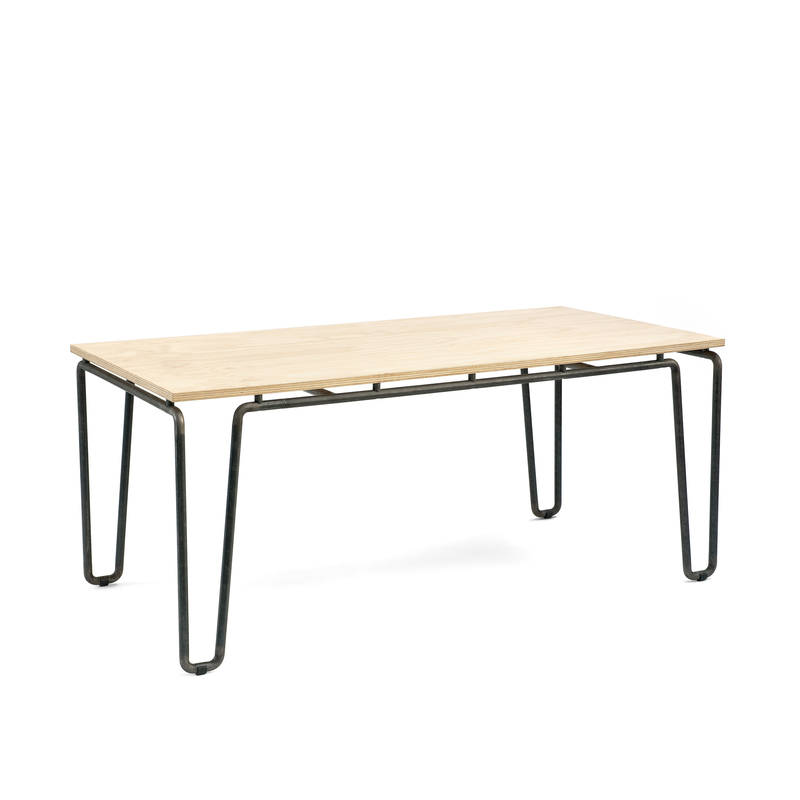 The prices start from € 980 depending on size and type of wood. Delivery time in agreement. We have limited edition colors right now! Trendy nudes and timeless olive colors. The bottom is made of mixed brown and it’s all wool felt. The dimensions are 35,5 x 35,5 x 2,5 cm. Delivery time 3-5 working days. 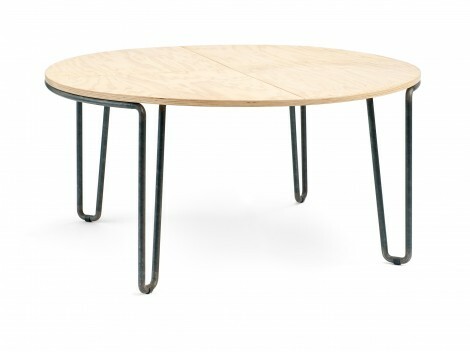 A round table is perfect for dining with friends and family. But we use it as a conference table at Fiction Factory, because you can put a lot of drawings on there while discussing a project. The height is 75,5 cm and the top is 156 cm diameter. You can also order custom dimensions with tops made of pine, oak or bamboo. 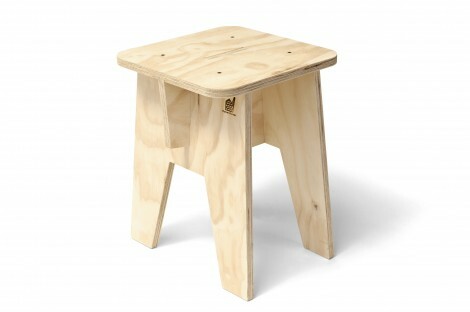 The prices start from € 980 depending on size and type of wood. Delivery time is in agreement. 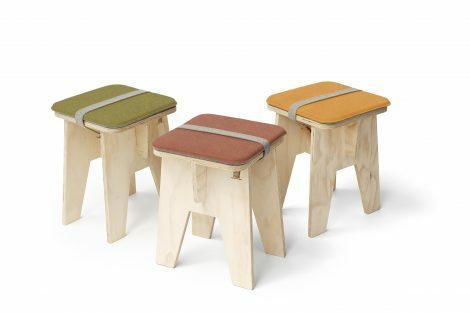 This low chair is inspired by the seats in the old 2CV. We wanted to bring back that same comfort that makes you want to drive off to France. The bent frame adds to that relaxed posture. 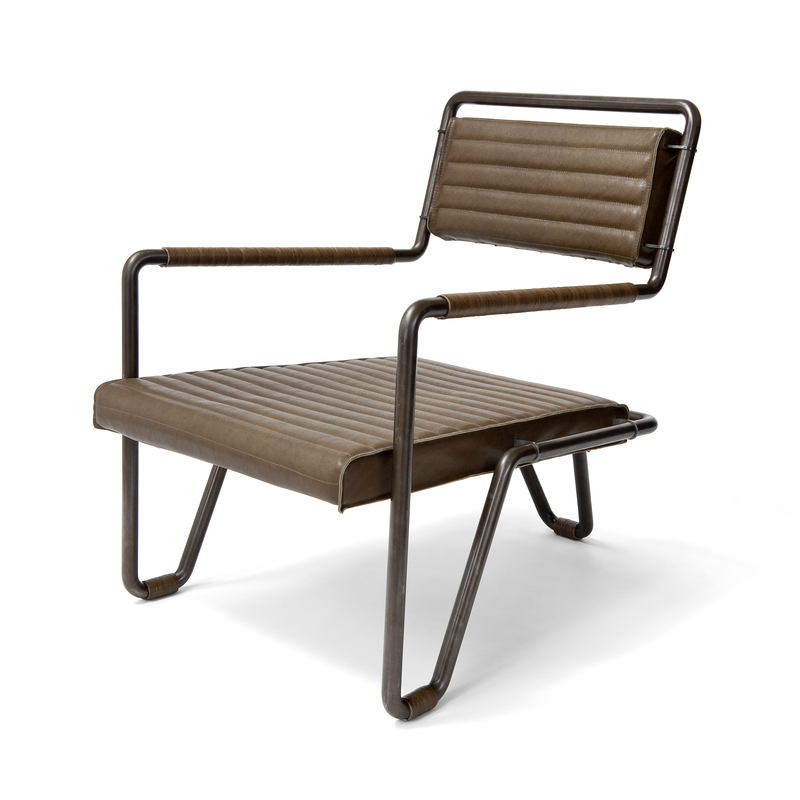 The dimensions are 65 x 80 x 77 cm and it is made of dark steel tubes with bull leather upholstery. Feel free to stop by and have a seat! 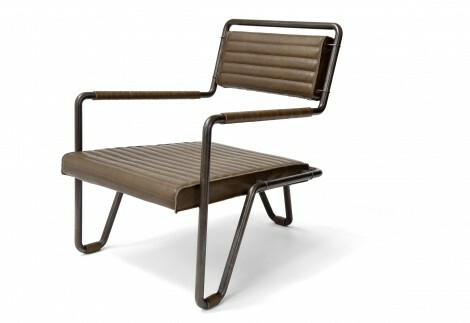 This beauty costs 1485 Euros and is made to order in these colors: olive green, mid brown and dark brown. 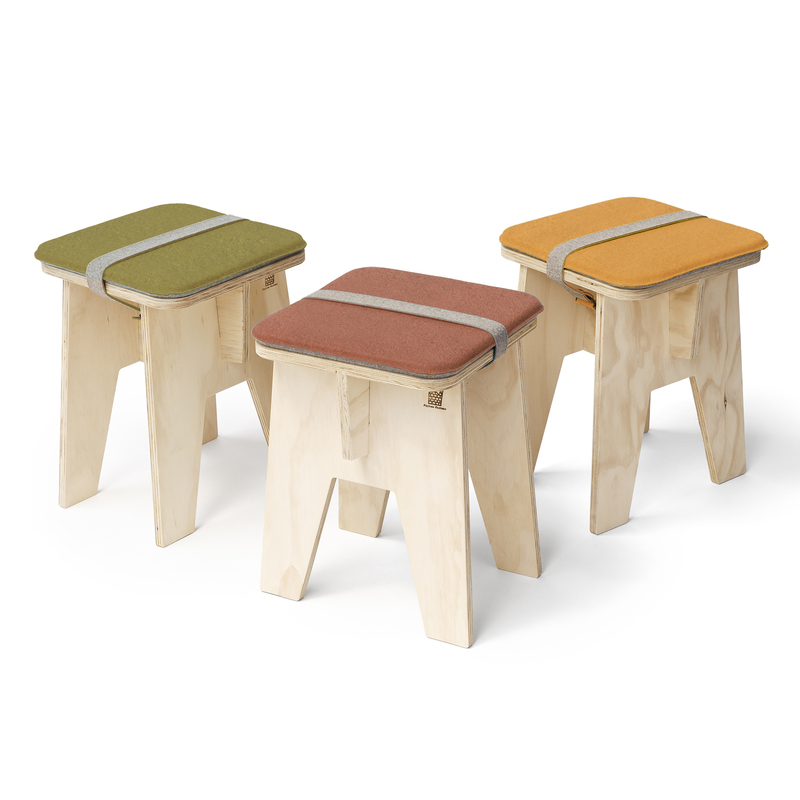 These lightweight stools always come in handy. They linger around our office and down in the workshop. 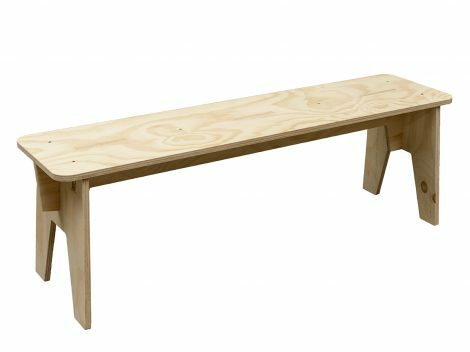 You can also use it as a side table or a nightstand in a home. It is made of pine plywood and its dimensions are 38,5 x 34,5 x 45 cm. 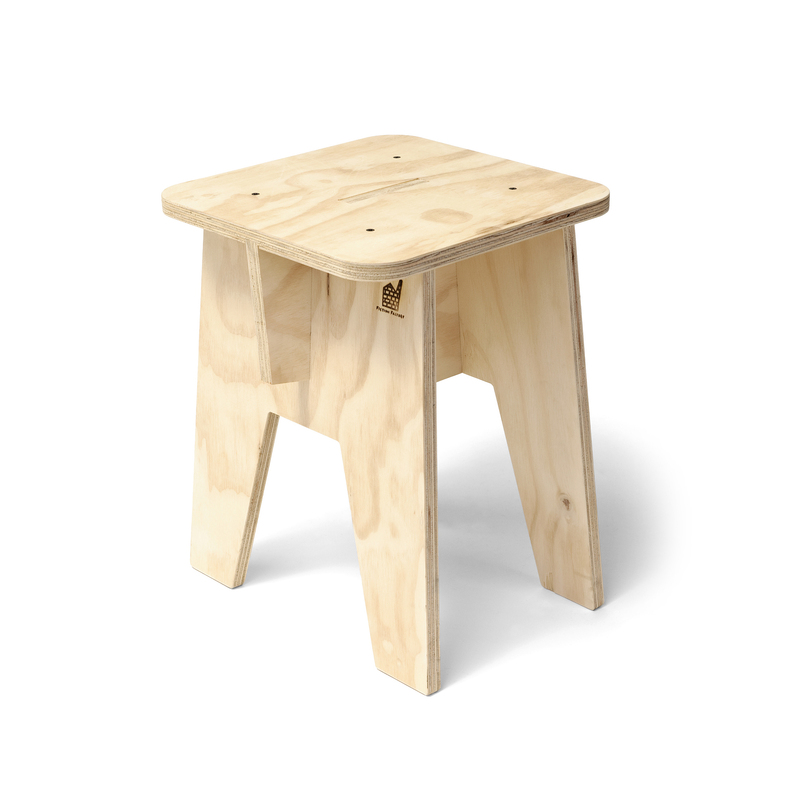 You can buy a mounted version for € 29 or roll up your sleeves and build your own for € 21. Screws and manual included! Delivery time 3-5 working days. Note: We only deliver in The Netherlands at this point. If you prefer an international delivery, please send an e-mail.